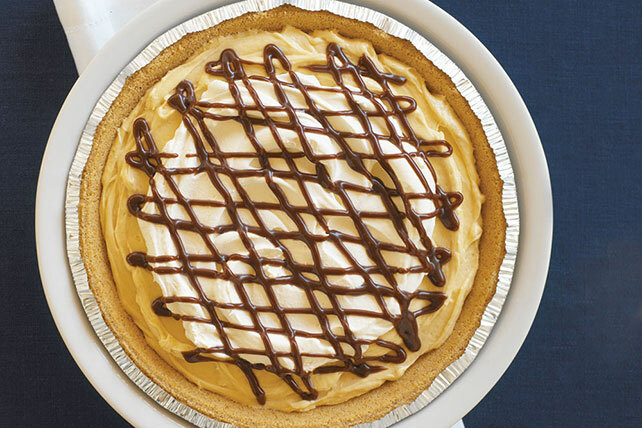 Bring together hot fudge topping and peanut butter in this Fudgy Peanut Butter Cream Pie! Top with COOL WHIP for the perfect finishing touch to this yummy dessert. Spread 1/2 cup fudge topping onto bottom of crust. Freeze 10 min. Beat peanut butter and milk in large bowl with whisk until blended. Add dry pudding mixes; beat 2 min. (Pudding will be thick.) Stir in half the COOL WHIP; spoon into crust. Cover with remaining COOL WHIP. Warm remaining fudge topping, then drizzle over pie just before serving.